Cuba lies at the mouth of the Gulf of Mexico and is both the largest and most populated island in the region. Siboney hunter gatherers from South America were the first to populate Cuba around 3000 years ago. They were followed by the Taino, an Arawak group who settled most of the Caribbean islands as well as the northern edge of South America. At the time that Christopher Columbus sighted Cuba on 27 October 1492, there was an estimated half-million indigenous people living in small villages farming maize, yucca, yams, peanuts, avocados and tobacco, and the fiercer Taino had driven the Siboney to the Western tip of the island. The Spanish colonisers had established their first settlement by 1514 and the first sugar cane was planted less than a decade later. There were many battles with the Taino groups, and these, along with smallpox, brutal treatment and malnutrition quickly decimated the indigenous population. The Spanish set up an encomienda system which assigned land and indigenous labour to settlers in return for their help with Christian evangelism amongst indigenous people. While this system was abolished in 1542, almost the entire native population had already been wiped out. From 1522, African slaves were brought to Cuba to work in mines and plantations. These people were allowed to stay together in their original groupings, which allowed African culture to develop strong roots in its new home. Meanwhile, the Spanish lost interest in Cuba, in favour of discoveries in Mexico, Bolivia and Peru. 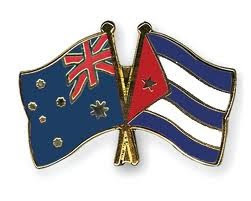 However, Cuba was maintained for its important strategic position as a port. Havana became heavily fortified due to frequently attacks by British forces and French pirates. The British briefly occupied the port from 1762 but traded it back to the Spanish in 1763 in return for Florida. The sugar industry exploded after 1791 when French planters fled slave riots in Haiti. 700 000 further African were imported over the next 40 years, eventually outnumbering Europeans. Cuba became the world’s largest sugar producer, with the newly independent USA as its biggest market. The criollo bourgeoisie (Cuban born Spanish descendents) became impatient with Spanish rule as the region became independent of its colonisers. In 1852, Cuba and Puerto Rico were the only two remaining Spanish colonies in the Americas. The USA twice attempted to buy Cuba from Spain, in 1848 and 1854, but Spain refused to sell. In the 1850s, nationalist pressure for independence began to build. Criollo planters in Oriente province began the first war of independence in 1868 after Carlos Manuel de Cespedes called for the abolition of slavery. After the death of 200 000 Cubans and 80 000 Spanish, the rebels were forced to sign a peace treaty in 1878. Investors from the USA bought up plantations from bankrupt Spanish landowners and 70% of Cuban land was owned by USA citizens by the late 1890s. In 1895, the second war of independence was started by Cuba’s national hero, José Marti, a gifted writer and advocate of social justice in exile in the USA. He was killed in the first few months of fighting, however the war continued. In February 1989, the USA battleship Maine was blown up in Havana Harbour. The USA government blamed Spain and declared war a few months later. In July, the Spanish surrendered and the USA occupied the island. In 1902, Cuba finally gained independence after being forced to accept a ‘Made in USA’ constitution. This document included the Platt amendment, which gave the USA the right to militarily intervene in Cuban internal affairs whenever it deemed necessary to protect USA interests. This clause also allowed the USA to set up a US naval base at Guantanamo Bay, which still exists today. The first half of the 20th century was dominated by corruption, incompetence and increasing USA control of the Cuban economy. Sugar and tobacco were exported to the USA in exchange for imports at preferential tariffs. In 1933, a young mulatto army sergeant, Fulgencio Batista, seized power and ran the country until 1944. The next two governments combined systemic corruption and brutal repression of political opponents until Batista staged another coup in 1952 to ‘restore order and democracy’. However, elections, which were expected to be won by the mildly liberal Patido Ortodoxo, were cancelled as Batista and his allies became intent on lining their pockets and the dictatorship embraced organised crime. In 1956, 75% of Cuban imports came from the USA and tourism, gambling and prostitution boomed as mobsters from New York and Miami moved into Havana. Order was maintained by the army and the secret police and hundreds to government opponents were tortured and murdered. On 26 July 1953, over a hundred militants and students led by young lawyer, Fidel Castro, attacked the Moncada army barracks in Santiago de Cuba. The assault was thwarted and most of the rebels killed. Castro was sentenced to 15 years in prison. Two years later, he was granted amnesty under popular pressure and fled to Mexico City where he gathered other revolutionaries around him, including his brother Raul and a radical Argentine doctor named Ernesto "Che" Guevarra. In December 1956, Castro and 81 guerrillas sailed from Mexico in a small yacht, Granma. The group established themselves in the Sierra Maestra mountains near Santiago and slowly gained support among the rural workers. In the cities, an underground resistance grew, staging protests and supplying new recruits and arms to Castro's fighters. In May 1958, Batista dispatched 10,000 soldiers to wipe out the guerrillas but the campaign failed miserably. Castro's troops fought back, led by 'Che' Guevara and Camilo Cienfuegos. As popular support for the guerrillas spread, Batista's troops became demoralised. Finally, his army collapsed and the dictator fled to the Dominican Republic on New Year's Day, 1959, with $US40 million. Che and Camilo arrived in Havana the next day. Fidel, now aged 33, drove from Santiago to Havana, arriving on January 8. He was named Prime Minister and on January 25 over a million Cubans filled the streets to hear Fidel define the goals of the new Revolution. The new government immediately nationalised all land holdings over 400 hectares. Racial discrimination was abolished, rents slashed and salaries increased. Some land was redistributed to landless rural people and the rest was tuned into state farms where agricultural workers were given secure, paid employment for the first time. Thousands of volunteers spread across the countryside to teach rural people to read and write in one of the most successful literacy campaigns of all time. The United States was outraged by the nationalisation of the US-owned plantations and initiated a CIA-led plan to oust the Cuban Government. Cuba responded by nationalising all US owned companies and by establishing closer economic and political ties with the Soviet Union. Washington began an economic blockade and cut off diplomatic relations in 1960. The US effort to topple the revolutionary government culminated in the Bay of Pigs invasion on 17 April 1961 by 1400 CIA-trained Cuban expatriates. The invasion failed miserably. In 1962, the Cuban Missile Crisis brought the world to the brink of nuclear war. Moscow had installed forty nuclear missiles on Cuban soil attempting to counter US missiles in Turkey. The US threatened war unless the missiles were removed. In the end, the Soviets backed down in exchange for a promise from President Kennedy not to invade Cuba. Fidel Castro and Che Guevara set out to build a socialist state. There was a complete shake-up of the economy including the nationalisation of agriculture many industries. Great advances were made in health, education and worker’s rights. During this time, Cuba’s economic success relied significantly upon the export of sugar under favourable trade arrangements with the Soviet Union. Also, Cuba’s sole source of oil and many other agricultural and industrial commodities was imports from the USSR. In the mid 1980's Cuba tried to loosen the rigid Soviet model. But with US President Ronald Reagan's anti-Communist crusade in full swing, there was little room to move. With the collapse of the Soviet Block in 1989, Cuba lost five billion dollars worth of trade almost overnight and in August 1990 President Castro announced a "special period" - an austerity program to confront the nation's worst-ever economic crisis. As Soviet oil imports dropped Cuban industry and agriculture ground to a halt. The United States used this opportunity to tighten its illegal blockade. Introduced by Senator Robert Torricelli in 1992, this bill extended the trade ban to overseas subsidiaries of US companies. Any ship docking in Cuba is barred from docking in US ports for six months. At that time, Cuba had $US8OO million in trade (mostly in food and medicine) with American-owned firms outside the US. That trade has disappeared and transport costs have jumped by 40% since 1992. Cuba is spending $US1OO million more to get goods through alternative channels. The act aims to prevent foreign investment in Cuba. Companies are threatened with court action in the US if they "traffic" in property that has been nationalised by the Cuban government and that was previously owned by anyone who is now a citizen of the US. The Helms-Burton Act has outraged Canada and the European Union (EU), both of which seek stronger trade links and investment opportunities in Cuba. The EU threatened to take the act to the World Trade Organisation unless Washington softens its approach. The Cuban National Education System is a source of pride to all Cubans. It provides a free and comprehensive education to rival many so¬-called developed nations. In 1959, at the time of the triumph of the revolution, 30% of the 7 000 000 Cubans were illiterate and as few as 150 000 Cubans had more than five years of schooling. There were more than half a million children without schools and more than ten thousand teachers without work. Of the 6 000 doctors at the time, only 3,000 stayed in Cuba after 1959. Literacy was one of the first priorities of the Cuban revolution. A huge campaign was launched across the nation and in the first two years more than 1,000,000 Cubans learned to read and write. Today, education remains a priority. Literacy rates are better than 95%. Nine years of schooling are obligatory. Of Cuba's 11,000,000 people, 600,000 are university graduates, including 64,000 doctors. With just two percent of Latin America's population, Cuba has almost twelve percent of the region's scientists. It is no wonder Cuban professionals are in demand in many parts of the world. A great accomplishment of the Revolution has been health care, which is free to every citizen by right. No country has achieved such remarkable success in such a short period of time. Basic health indicators are head and shoulders above the norms of most countries. According to UNICEF, the infant mortality rate in Cuba fell from 60 deaths per thousand in 1958 to 5.9 in 2006 (better than the USA which is at 6.3). That accomplishment is even more remarkable given that the country has a per capita gross domestic product lower than any other Latin American nation and less than a twentieth of that of the US. In fact, infant mortality continued to fall even during the privations of the special period. Average life expectancy is 75 years, far ahead of the third world average of 57. There is an impressive layered system of health care delivery from "consultorios" (small family clinics) to polyclinics (local medical centres), to hospitals and national research institutes. Family physicians and medical services are readily available from one end of the island to the other. Cuban women have made enormous strides since 1959. The Federation of Cuban Women (FMC) is one of the country's largest mass organisations and represents 84% of all women. The Family Code passed in 1975 gave Cuban men and women equal rights and responsibilities for child rearing, education and housework. Women now make up an equal or greater proportion of many sectors of the workforce compared to 20% before the Revolution. More than 60% of scientific and/or technical workers are women and they are also the majority in health care and education. Women have been less successful breaking into the political arena: around 35% of National Assembly members are female and even fewer are members of the powerful Communist Party of Cuba (CPC) Politburo. The Cuban response to food shortages caused by oil shocks during the special period has been a revolutionary approach to local, organic agriculture. Starting as a grass-roots movement, the Cuban urban organic gardens, or organoponicos, produce the bulk of Cuba’s cities’ fresh food needs with minimal fuel and water use. The gardens inhabit disused public spaces, rooftops laneways and other out of the way places providing job opportunities, civic beautification and most importantly a sustainable and secure food supply. The gardens not only immunise the Cuban food supply from future oil shocks but also use chemical free processes that means lower public health and environmental risks. It is estimated that around 90% of Havana’s fresh food comes from over 200 urban gardens that employed over 44,000 people in 2006. Many activists around the world have been inspired by the Cuban approach to food security and have established their own community gardens to demonstrate the benefits of local food production. As recently as 2004, Cuba suffered intermittent power shortages due to insufficient generation capacity and limited infrastructure. Also, its power supply was based on inefficient and environmentally damaging gas and diesel-fired generation. Since then, Cuba has made significant investment not only in new and updated infrastructure but importantly in energy efficient technologies and renewable such as wind and solar power. Further initiatives have included the country wide installation of energy efficient light globes and household appliances. The energy revolution has done more than secure Cuba’s energy supply; it has taken important steps to reduce Cuba’s environmental impact. In recent times, Cuba’s economy has undergone substantial growth and recent policy changes have meant that consumer items are now more available and more affordable. Cuba is forging ahead with innovations in energy, urban agriculture, biotechnology (such as the production of their own vaccines), as well as continuing to advance their programs of education and national and international health care. Cuba has experienced a time of economic growth, bringing them out of the Special Period. 2006 was a bumper year with a 12% growth in GDP. Tourism is a main source of income, as well as major exports such as sugar, nickel, tobacco, fish, citrus, and coffee. While the global downturn is expected to effect Cuba’s tourism industry and some exports, the country has avoided the direct implications of international financial disruption. Also in the recent years, there have been political changes. With the deterioration of Fidel Castro’s health he stood aside from the leadership and did not stand for re-election. Following elections in early 2008, a new Congress was formed and Raul Castro, then head of the armed forces, was appointed President. Cuba has experienced improved relations with many Latin American countries such as Venezuela, Bolivia, Ecuador, Chile and Brazil. New economic and financial arrangements with China allow Cuba to access currency markets away from the $US, improving Cuba’s financial liquidity and purchasing power. Cuba is a member of the Bolivarian Alliance for the Peoples of America (ALBA) which is an international cooperation organization based on the idea of social, political, and economic integration between the countries of Latin America and the Caribbean. In association with other socialist and social democratic governments ALBA is working towards regional economic integration based on a vision of social welfare and mutual economic aid, rather than trade liberalisation. While there have been somewhat improved relations between the US and Cuba with US President Obama relaxing restrictions on the ability of Cuban Americans to travel to Cuba and to transfer remittances to family members in Cuba, there has not been any significant change to US policy. Similarly, Cuba has declared that it will not give up its revolution, will not dismantle its socialist economy and will continue to prove that a better world is possible! For more reading on Cuba, Pathfinder Books and Ocean Press are two good publishers. Also, George Galloway’s Fidel Castro Handbook is an easy and informative biography of Fidel (and of revolutionary Cuba).